The world of hip hop has a few family partnerships. Many legendary artists are actually related. The RZA, the GZA, and ODB are related. 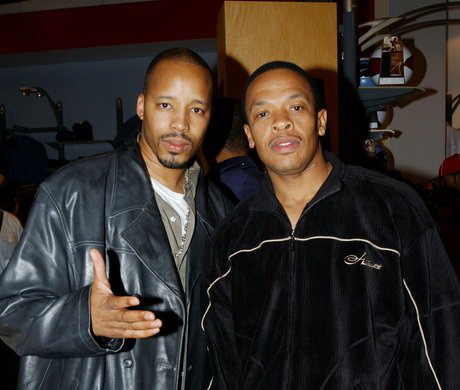 So Are Dr. Dre and Warren G. We compiled a list of 30 rappers that are related. Daz Dillinger and Snoop Dog are cousins. They worked together a lot when Daz was working for Death Row records as a rapper and producer. The most active member of Snoop Dog’s old rap crew, the Dog Pound, Daz and Snoop grew up in Long Beach California, and have been in the rap game for decades. These kings and queen of old school rap are actually all siblings. 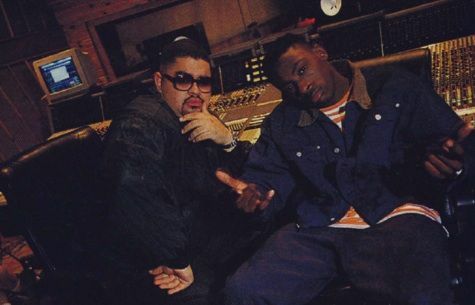 Milk Dee and Giz make up the duo Audio Two, known for their hit “Top Billin” from their album “What More Can I Say.” MC Lyte is a legendary rapper that paved the way for basically every female rapper ever, and deserves all the props. New York City MC Chris Rivers has found himself following in the footsteps of his father Big Pun. Once named Baby Pun, it’s understandable that he wanted to grow up and make it on his own. Rev Run and Russell Simmons are brothers. Even tho Russell isn’t technically a rapper, the rap mogul, and founder of the legendary Def Jam Records deserves to be in any conversation about rap and hip hop. Berry Gordy may not be a rapper, but he’s a legendary songwriter from the days of Motown. His son, Redfoo, half of the duo LMFAO, is more relevant in the world of hip hop, and his father being one of the best song writers of a generation helped him stay on the track to stardom. Apparently Snoop has a big old family. He’s also cousins with the 90’s R&B brother and sister stars Ray J and Brandy. Having Snoop as a cousin would be fun. That’s undeniable. Hopefully he helped his little cousins grasp the game, because entertaining apparently runs in the family. Both Wyclef and Pras were members of one of the best rap trios ever – The Fugees. The two are cousins. Though the group broke up prematurely, with lots of music left on the table, they both deserve a spot in the annuls of rap history. Method Man and Redman are cousins. From rapping together with Method Man’s undeniable smoothness and style, and Redman’s energetic punchlines, to their movie, “How High,” they made together, this dynamic duo knows that the bond of family can cut through the nonsense and allow them to put in work. The legendary, tongue twisting, slang pioneering rapper E-40 has a son named Droop E. Droop best known for his song “I’m Loaded,” reps the Bay area as hard as 40 himself, and has potential to have insane amounts of influence on the rap game, following directly in his father’s footsteps. Juicy J and Project Pat are brothers. Both members of legendary Memphis rap group, 3-6 Mafia, Juicy J was able to break out into the mainstream doing songs with Katy Perry and Miley Cyrus. But Project Pat and Juicy J have been doing their rap thing since before ’96. Dr. Dre and Warren G are step brothers. The two pioneers of G-funk gangster rap have both had success. Warren broke came on the scene hard with his anthem, “Regulators” alongside the late Nate Dogg. Dre has proven himself as a platinum selling rapper, a legendary producer, and the wealthiest hip hop entrepreneur ever with his popular Beats headphones. Share the post "30 Rappers You Didn’t Realize Were Related"